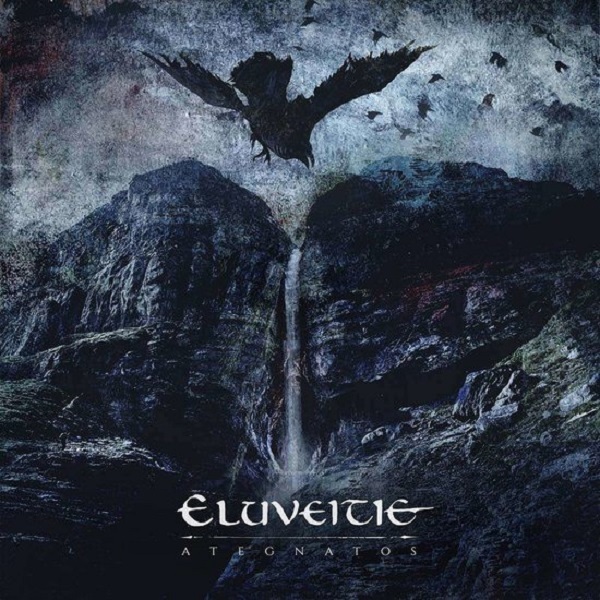 Unleashing one of the most lively and engaging Folk Metal releases of 2019, today we have the legendary Eluveitie with “Ategnatos”. With the ‘new’ band members settled, this release delivers a more cohesive and in a certain way exploratory sound that further improves the band’s catchiness with more upbeat and exciting elements. Featuring over 60 minutes of music, this is a release that all fans of the band will love and enjoy. Leading with the album title track, the band quickly starts telling their story and sets a very ‘medieval’ mood with their lush instrumentation, rich vocal arrangements and powerful distorted guitars. The band’s uncanny abilities to perfectly mix their Melodic Metal side with intricate arrangements of folk instruments is top not as we can hear in the multi-faceted “Deathwalker”. For those looking for the folkier side of things, this release does not disappoint with excellent tracks like “Black Water Dawn”, “The Silvern Glow” and “Trinoxtion”. 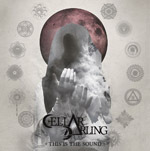 After their brilliant and lively debut “This is the Sound” back in 2017, Cellar Darling quickly established themselves as one of the most promising up-and-coming Folk Metal/Rock bands in the scene. With “The Spell”, the band builds up on their earlier sound and turns into more Progressive territories with 13 superbly crafted tracks. Featuring a wide variety of folk elements , the super talents of Anna Murphy on vocals, and proven song-writing capabilities, the band delivers one of the best releases of their genre in 2019. Opening with “Pain”, we notice and instant shift into darker and more progressive territories. The band continues to deliver their signature lush vocal arrangements, but in a more conservative and yet engaging manner. As “Death” and “Love” roll in, the band’s sound feels like a combination of Kari Rueslåtten’s folkier works with Anneke van Giersbergen’s charisma and sense of melody. This is quite a killer combination we have to say, however, of course Cellar Darling imprints their own ideas and style in the mix. 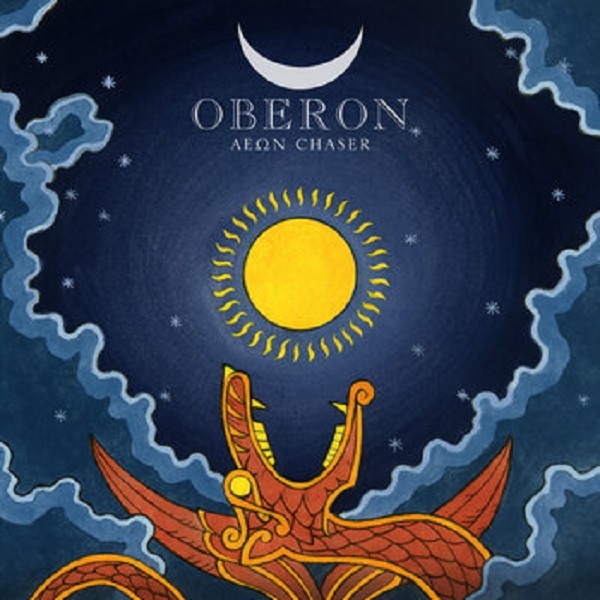 Unleashing a very lively proggy release with “Aeon Chaser”, Norway’s Oberon self-labels their music a Gnostic Rock and they are not very far from the truth. Exploring a wide palette of sounds in their 11 songs, the band perfectly pairs acoustic passages with tons of atmospheric elements alongside a Progressive/Folk Rock core. In a similar vein than bands like Anathema, this release contains very well crafted songs that have a high replay value. Opening with the dreamy “Omega”, we are instantly taken on a very trippy journey with songs that remind us of outfits like Yes and Marillion. The band’s progressive core allows them to craft intricate songs like “Walk in Twilight”, “The Secret Fire” and “Surrender” filled with memorable guitar melodies and soaring vocal arrangements. For those that like dreamier songs, “To Live to Die” crafts a very delicate atmosphere that nicely progresses as layers of additional elements like subtle piano arrangements are introduced. 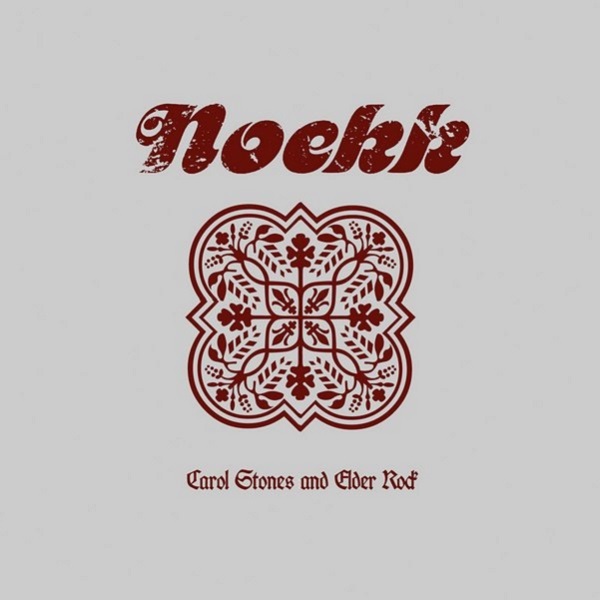 Only making us wait for ten years, we finally get another brilliant release from Noekk, even if its a short 7 inch one. With “Carol Stones and Elder Rock”, Schwadorff and Thomas Helm tease listeners with four tracks of their upcoming full length release. 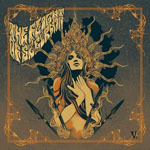 Full of lush and yet simple arrangements, this release continues the band’s legacy with some unique and mysterious songs that will certainly captivate fans of Dark/Folk Rock. The wait is over with the somber intro track “A Loss”, which creates a very dark and yet mysterious atmosphere that brings you back to the band’s earlier work and reminds you as well of outfits like Of the Wand and the Moon and Empyrium. The transition to “Pan” is seamless and leads into a lush keyboard atmospherics and haunting string elements. The pace is quite well crafted as it creates a bit of an anxious feel, but at the same times soothes the listeners with its atmospherics. 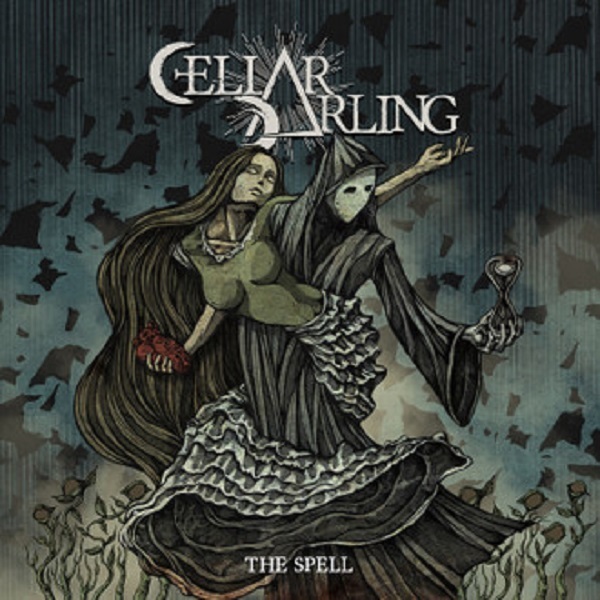 Formed by ex-Eluveitie members: Anna Murphy, Merlin Sutter and Ivo Henzi, Cellar Darling perfectly combines Folk elements with Metal and Rock to create a very lively and unique sound that will captivate audiences. Led by the charismatic vocals of Anna Murphy, this release delivers 14 tracks of superbly catchy and engaging music that will stick in your head long after you stop listening to it. Opening with the killer “Avalanche”, this track features one of the catchiest chorus sections of 2017. The band keeps minor Eluveitie influences with their folk elements, but they focus on making killer vocal melodies and playful instrumentations that perfectly define their own identity, as we can hear on tracks like “Black Moon”, the brilliant “Challenge”, and the hard rocking “Hullabaloo”. Hailing from Norway, today we have the return of Tusmörke and their whacky retro mixture of Psychedelic Rock with Progressive elements. With a hearty 60’s/70’s vibe, this release has a very warm and fuzzy sound that is brilliantly complemented by folky rhythms and very fitting vocal arrangements. Slowly refining their sound over the years, the band is still as original and crazy as when we first got introduced to them back in 2012 with their “Underjordisk Tusmørke” release. Opening with the festive “Hjemsokte Hjem”, the band sets the mood with funky percussions, energetic flutes, very melodic vocal arrangements, and dreamy atmospherics. Moving into more proggy and psychedelic territories, “Rykende Ruin” is a song that slowly progresses with very catchy synths and flutes leading the way. We particularly love how the band layers multiple elements to deliver a very retro and yet unique sound that is unlike any other band these days. 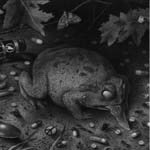 Fittingly bearing what it looks like a psychoactive toad on its cover, today we have Tusmörke and their trippiest release to date “Fort Bak Lyset”. Combining psychedelic and folk elements ina a very proggy way, the band crafts seven unique pieces that are beyond original and totally weird. If you are looking for weird psychedelic music, this is probably as weird as you are going to get in 2016. Opening with the Jethro Tull-esque “Ekebergkongen”, the band sets a very odd stage with tons of psychedelic atmospheric elements and very proggy music. Entirely sung in Norwegian, the music in this album explores all kinds of weird folk corners as we can hear on “Et Djevelsk Mareritt” and “De Reiser Fra Oss”. While one can quickly picture a bunch of geeky larpers frolicking around with their foam swords to this music, we have to say that even this is too weird and out of the ordinary (in a good way!) for said sinister purposes. Hailing from Colorado, today we have the elusive duo The Flight of the Sleipnir and their fifth full-length release titled “V.”. Featuring seven tracks of very mellow improvisational-style Psychedelic Sludge/Doom, this band delivers a very unique aural experience with over 59 minutes of very diverse and sonically pleasing music that evokes the likes of folk-induced Agalloch, Velnias, mixed with countless Doom Metal acts. The release kicks off with a very Empyrium-esque opener with “Headwinds”, a track that slowly builds up to some powerful Sludgy riffs and tight drumming. The mixture of and Sludge elements is quite well crafted and the clean vocals nicely fit the bill, the harsh vocals while odd at first create a very contrasting vibe that ultimately fits the song perfectly. Things get a bit more psychedelic, or should we say ‘sludge-chedelic’ in the trippy “Sidereal Course”. This song has a very nice free-flowing vibe and feels like a jam session in some places. Heavy, creepy and atmospheric are words that we usually like when talking about a release, in “The Kingdom Field” Darkher perfectly crafts her sound around those three words. Hailing from the UK, this female-fronted outfit delivers four brilliant tracks that combine elements from old-school bands like The 3rd and the Mortal, to newer acts like Hexvessel and Jex Thoth. We are slowly initiated to Darkher’s captivating sound with the atmospheric intro to “Ghost Tears”. The dark and somber vocals work amazingly well with the minimalistic percussions and guitars in this track. We are reminded of a mixture of Jamie Myers (Sabbath Assembly), Jex Thoth, and Kari Rueslåtten (ex The 3rd and the Mortal), as it goes from somber and deep to sweet and innocent in tracks like “Hung”, these changes make this release very versatile and intoxicating. Having waited for more than 10 years for a new Empyrium release, the arrival of this release was the highlight of our month. With “The Turn of the Tides”, Ulf Theodor Schwadorf and Thomas Helm return with a release that combines all elements from Empyrium’s past in a very fresh and masterful way. Featuring seven tracks of majestic atmospheric music, the band surpasses all the expectations and once again, sets the bar higher. The release opens with the ray of light called “Saviour”. In this track the somber piano opening perfectly sets the mood for this majestic release. 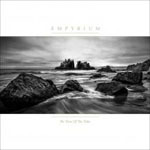 As the atmospheric elements keep unveiling parallel to Helm’s vocals, the full Empyrium experience begins. 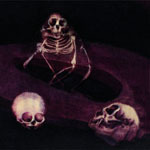 The release continues with the already unveiled “Dead Winter Ways”, a majestic track that is both bleak and dramatic. Featuring distorted guitars, this is a first in a few releases for Empyrium.